As a woman who grew up in fundamentalist Christianity, I could identify with the scriptural references discussed, and the limits churches traditionally place on women. In addressing the difficult passages, Grady points out that many of the restrictions put upon women from the days of Adam and Eve have been cultural. 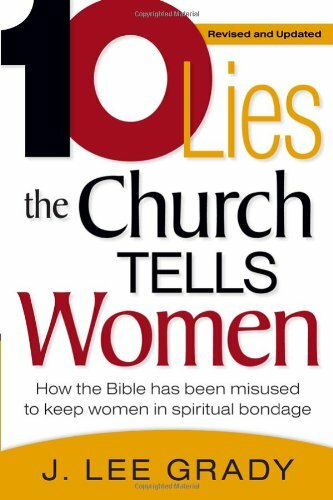 This book also discusses many superstitions that have been used by churches as “proofs” that women are weaker or more easily corrupted than men, such as menstruation and other natural processes. Grady shows how God used women in both the Old and New Testaments to lead in many ways, and each chapter contains stories of women who followed their callings. In the example of preacher Shirley Arnold and her husband, the couple was invited to speak at several churches in Romania. When they arrived, the church leaders gave Mrs. Arnold permission only to give a short introduction and wanted Mr. Arnold to give the sermon. Mr. Arnold gave a three- minute “sermon,” then turned the meeting over to his wife. This book also illustrates how an accurate understanding of the Bible affects relationships between people. Grady shows through the context of the Bible how men and women are designed to work together, instead of being adversaries. To this end, the book concludes with 10 steps churches can take to fully empower women for church leadership. “Men cannot be threatened by women who simply want to obey God,” Grady says. I recommend this book as an encouragement for all women and a strong affirmation for women who have felt God’s call but have been afraid to follow it. The principles discussed can help women in their relationships with God and others. If church leaders implement even a few of Grady’s suggestions, women will have renewed hope to take their place as allies with men in sharing the gospel.